The bomb disposal unit at the scene. 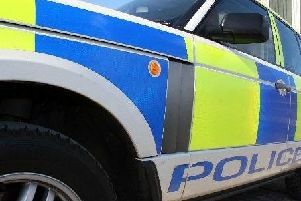 A bomb disposal unit was called out to Girvan after police received reports of what was possibly a marine flare found in a premises in the town. The flare was found in premises adjacent to South Ayrshire Council’s main recycling centre on Old Street in Girvan at around 6pm on Wednesday, September 6. However on inspection by a unit from the Royal Logistics Corps the area was declared safe.